Club Teams: Select teams of advanced high school, middle school, or elementary school players. Club team try-outs are by invitation only and represent the top swimmers, volleyball, soccer, and softball players. Coach Contact: Questionnaire, camp brochure, letter, email, or phone call directly from a member of the coaching staff. Combine: High-intensity showcases where student-athletes perform a series of grueling tests. Combines provide a venue for student-athletes to be evaluated individually and in great detail. Attendance is often by invitation only, and combines generally consist only of the nationâ&#x20AC;&#x2122;s top players. College coaches cannot attend combines. Contact: An exchange of information between a coaching staff and a prospective student-athlete. Contacts include camp brochures, letters, questionnaires, emails, phone calls, and tape requests. Contact Period: The period when a coach may have in person contact with a student or his/her parents on or off college campus. The coach may watch the student compete or visit the high school. Core Courses: High school classes required by the NCAA Initial Eligibility Center. These include English, Math, Natural/Physical Science, Social Science, Foreign Language, Religion or Philosophy. Refer to the NCAA Eligibility Center regulations. Cost of Attendance: The total cost of attending a school. The Cost of Attendance (COA) is an important factor in determining a studentâ&#x20AC;&#x2122;s financial aid needs. Dead Period: Periods of time during which it is not permissible for a coach to make in-person recruiting contacts or evaluating on-or off-campus or permit official or unofficial visits. EFC: See “Expected Family Contribution.” Early Action: Nonbinding plan that requires a student to submit his or her application in early fall (usually by November 1 or 15). The college lets the student know whether he or she is accepted by early January, but the student has the right to wait until May 1 before responding. This gives a student-athlete time to compare colleges, including financial aid offers, before making a decision. Early Decision: A binding agreement whereby a student-athlete accepts an offer before Signing Day. Equivalency Sports: Programs that fall into this category—all sports other than men’s basketball, women’s basketball, football, women’s gymnastics, women’s tennis, and women’s volleyball—can offer full or partial scholarships. Expected Family Contribution: The Expected Family Contribution (EFC) is the amount a family can be expected to contribute toward a student’s college costs. Financial aid administrators determine need for federal student aid by subtracting the EFC from the student’s cost of attendance (COA). The EFC formula is used to determine the need for aid from the following types of federal student financial assistance: Federal Pell Grants, subsidized Stafford Loans and assistance from the “campus-based” programs-Federal Supplemental Educational Opportunity Grants (FSEOG), Federal Perkins Loans, and Federal Work-Study (FWS). Evaluation: A coach’s review of a student’s athletic or academic ability. A coach typically evaluates a student either at his or her high school or during a showcase, practice, competition, club practice, or camp. Evaluation Period: The period of time during which a college coach may watch students compete or visit the high school. There is no in-person contact away from the college campus allowed during this time. The coach may call and write during this time. FAFSA: See “Free Application for Federal Student Aid.” Free Application for Federal Student Aid: The Free Application for Federal Student Aid (FAFSA) is a form required by the government for application to any federal education aid program. The FAFSA is used to determine the expected family contribution (EFC) based on family financial information. A FAFSA is used to determine the specific Federal Student Aid programs that can contribute to a student’s total financial aid package and in what proportions. Visit www.fafsa.ed.gov. Federal Perkins Loan Program: Low-interest (5 percent) loans that must be repaid. The maximum annual loan amount is $4,000 for undergraduate students and $6,000 for graduate students. Federal PLUS Loans: Unsubsidized loans made to parents. If you are independent or your parents cannot get a PLUS loan, you are eligible to borrow additional Stafford Loan funds. The interest rate is variable, but never exceeds 9 percent. Federal Stafford Loans: Student loans that must be repaid and are available to both undergraduate and graduate students. Federal Supplemental Educational Opportunity Grants: Grants available for undergraduates only and awards ranging from $100-$4,000. Fee Waiver Request Form/Financial Hardship Waiver: Used to request a waiver for the NCAA Eligibility Center fee. Visit www.nacoc.com/ feewaiver.html. Only students who have received an ACT/SAT fee waiver are eligible. Financial Aid/Scholarship: Money received from a college or another source, such as outside loans or grants. 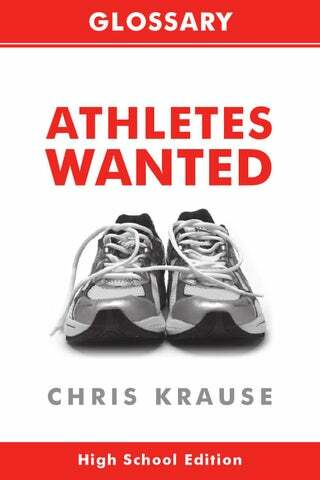 This may be athletic, academic, merit or need-based aid. FWS/Work Study: Provides jobs to undergraduate and graduate students, allowing them to earn money to pay education expenses. Game Day Visit: An opportunity for a student to visit a campus to watch a college team play a game. Game Tape: Footage of actual competition, usually unedited. GATE: Guaranteed Access to Education (GATE) is a nonprofit private loan program offered through participating institutions in conjunction with Bank of America, Bank of Boston and the National Collegiate Trust (NCT). There is a minimal credit check and colleges can recommend whatever loan amount theyâ&#x20AC;&#x2122;d like the student to receive. The interest rate is also rather low. Students and parents should call 1-617-639-2000 for more information about the program (in New York, 1-212-551-3650). See also their entry in the lenders area of the Financial Aid Information Page. GPA: Grade-point average. The NCAA Eligibility Center only uses core courses to calculate this number. This should be cumulative over the entire high school academic career. Gray Shirt: Student is recruited out of high school but delays full-time enrollment. Head Count Sports: Division I programs that fall into this category—men’s basketball, women’s basketball, football, women’s gymnastics, women’s tennis, and women’s volleyball—offer full scholarships only. Highlight Video: Three to five minutes of footage taken from game tape or skills tape. Name Game: Term used to describe a student-athlete or his/her family choosing colleges based on the name rather than actual facts. National Association of Intercollegiate Athletics: The National Association of Intercollegiate Athletics (NAIA) is a separate association of colleges who compete in intercollegiate athletics. The NAIA launched the Champions of Character program in 2000 which is an educational outreach initiative which emphasizes the tenets of character and integrity, not only for NAIA college students, but for younger students, coaches and parents in our communities. National Collegiate Athletic Association: National Collegiate Athletic Association is the athletics governing body for more than 1,280 colleges, universities, conferences and organizations. Their goal is to govern competition in a fair, safe, inclusive and sportsmanlike manner. The official Web site is www.ncaa.org. NCAA Eligibility Center: The organization responsible for certifying the academic eligibility for practice, competition, and athletic scholarships of all prospective student-athletes for Division I and Division II. NCAA Guide for the College-Bound Student-Athlete: An important reference book created by the NCAA for student-athletes interested in competing in college sports. This guide leads the student-athlete through eligibility, amateurism, registration with the NCAA Eligibility Center, financial aid, and recruiting rules. It is available at the NCAA Web site www.ncaa.org. NCSA Collegiate Power Rankings: NCSAâ&#x20AC;&#x2122;s Collegiate Power Rankings are calculated for each college at the NCAA Division I, II, and III levels by averaging the U.S. News & World Report ranking, the U.S. Sports Academy Directorsâ&#x20AC;&#x2122; Cup ranking and the NCAA student-athlete graduation rate of each institution. The NCSA Collegiate Power Rankings provide data that allows prospective student-athletes and parents to evaluate the particular strengths of universities based on academic and athletic factors, as well as student-athlete graduation rates. National Letter of Intent (NLI): A legal, binding contract in which a student agrees to attend a college for one academic year. In return, a college agrees to provide the student with athletics related financial aid for one year. Non-Revenue Sports: College sports that do not bring revenue to the school. These sports are often funded, at least in part, by revenue sports such as football or basketball. Official Visit: Visit to a college campus by a student and/or parents paid for by the college. Quiet Period: A period of time during which a coach may not have inperson contact with a student or parents off the college campus. The coach may not evaluate a student during this time, but can write or telephone. Student athletes cannot take unofficial visits during a quiet period. Recruit Match: Collegiate coach database that matches qualified studentathletes with college athletic programs. The Recruit Match system houses more than 35,000 registered head coaches, assistant coaches and college administrative at more than 1,700 colleges, Recruit Match delivers studentathlete data through permission-based email. Profiles of student-athletes are distributed based on coaches wants and needs discovered through phone conversations, surveys and emails with college coaches at every level. Recruiting Contact: Face to face interaction between a coach and a student-athlete or his/her parents away from the college campus, including high school competitions. 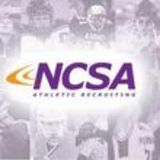 Recruiting Guidelines: Restrictions set by the NCAA and NAIA about when and how a college coach can communicate with a student-athlete. Recruiting List: Athletes the coaches at an institution are actively recruiting. Typically, a student-athlete is not added to this list until the athlete has been evaluated. Recruiting Materials: Information sent by a member of a coaching staff to a student-athlete. These include camp brochures, questionnaires and letters. Red Shirt: A student who does not compete in any competition during a full academic year. Regular Admissions: The process in which a student applies to a college by a midwinter deadline, receives word from the college in early April, and makes a decision and notifies colleges by May 1. Unofficial Visit: Any visit to a college campus paid for by a student and/ or parents. The only expense a student may receive is three complimentary admissions to a home contest. Verbal Commitment: A student verbally indicating that he/she plans to attend a college or university and play college sports. A verbal commitment is not binding, although it is a generally accepted form of commitment. Video Guidelines: Specific outlines for creating video footage. Walk-on: A student who does not receive an athletic scholarship, but who is a member of the team.